Four Seasons Tree Care tree pruning specialists remove diseased branches as well as deadwood and stubs that serve as a breeding area for insects and fungi. Crossing branches, water shoots, sucker growth and branches forming weak attachments are removed whenever possible to eliminate potential failure. Clearances, canopy raising and selectively thinning can also be performed if necessary. Proper pruning at early stages of tree development promotes good tree health and structure in addition to being cost effective. 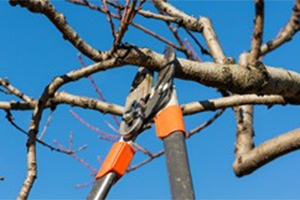 It should be noted that improper pruning can cause significant damage or death to your trees. Contact us today to get your free pruning quote.